When Dmitry Alexeievitch, a penniless translator, insists at his agency to obtain a new contract he has no idea that his life will be turned upside down. As he starts translating the first chapter he is offered nothing new, although it is a strange text that unfolds: the story of an expedition in the unexplored forests of Yucatan in the sixteenth century, an army led by the Franciscan priest Diego de Landa. But the chapters given to him are offered one by one by a mysterious sponsor. Also, when the agency employer is brutally murdered and the dangers reported in the document interfere with his everyday life Dmitry Alexeievitch gets scared. From the shadows of the past, are the Mayan gods and demons desperate to protect forbidden knowledge? Unless, of course, this Spanish manuscript has made him lose his mind. While the world around him is devastated by hurricanes, earthquakes and tsunamis, time is running out for discovering the truth. 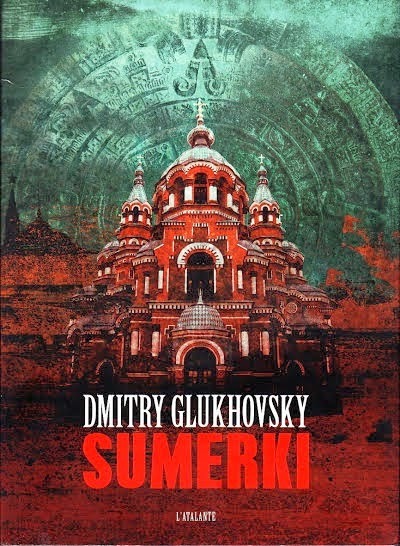 Sumerki, a mix of esoteric suspense and magic realism, is the second novel of Dmitry Glukhovsky. It is as much an intimately involvement as it is a flamboyant and gloomy vision of nowadays Moscow.